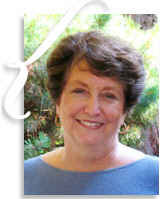 One of my favorite home care expert consultants is Ginny Kenyon from Kenyon Home Care Consulting. Ginny helps to launch around 20 agencies each year and also helps exisiting agencies to grow. Today's post comes from Ginny who offers the suggestion to take the "concierge" concept from high-end hotels and bring it into your home care business. A good example of a concierge program would be a day surgery service. The service can be designed any way the agency chooses, but must address all the needs that the client may have before, during and immediately after the surgery. Usually the best source of information when setting up this service is the client. Additional sources of information would be a brief survey in a surgeon’s office or you or someone in your family may have experienced day surgery yourselves and know what is needed. In my research, I’ve found the biggest issue for clients having day surgery is the need to have all the details attended to so all they have to deal with is the surgery itself. This may mean the agency picks up the client at her home or the airport, transports her to the surgery suite, and arranges for after care, which would include picking up all the medications, arranging a place to stay, if necessary, and providing 24-hour care until she can manage for herself. However you gather your information, it is critical to develop a program customers perceive as valuable and are willing to pay for. Can you get a program in place to grow your business? If yes, great. If no, contact Ginny here. How easy is it to define, schedule and bill for a new service with your home care software? If it's easy, great! If not, perhaps Ankota can help.